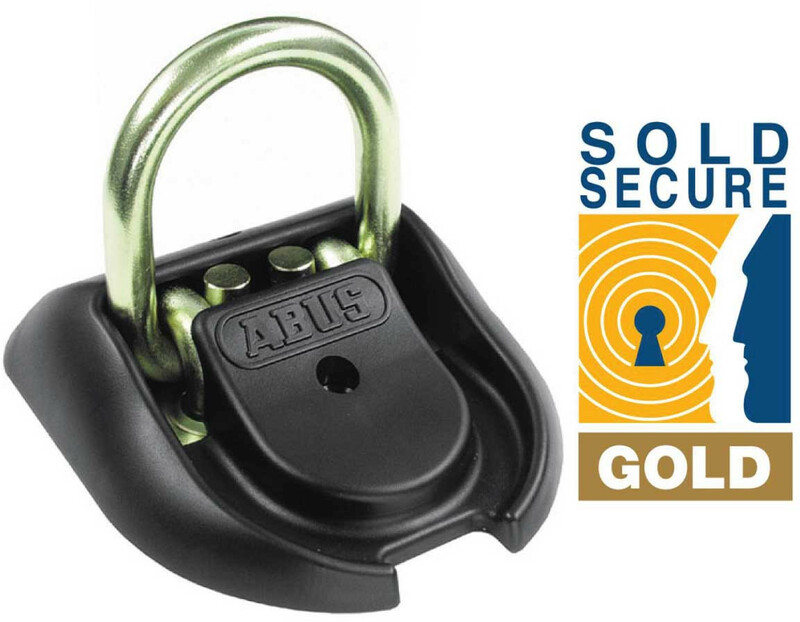 The Sold Secure Gold rated WBA100 is both simple, very strong and a very permanent 4 bolt fixing to the ground or floor. The corrosion resistant 16mm thick hardened steel shackle has unbelievably high levels of sawing and bolt cropping resistance. Its wider design is suitable for all ABUS shackle, chain and steel-o-flex locks. The WBA100 can also be laid flat when not in use.